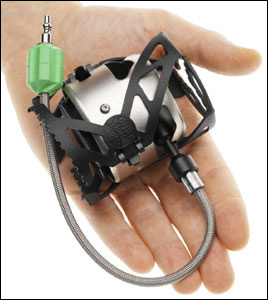 As my gear loving friends know I’ve been vehemently opposed to Multifuel stoves since I heard first their helicopter-landing din and realised they were little more than an unpredictable Molotov Cocktail waiting to remove a few fingers. However, I’ve always been nervous around anything flammable under pressure, gas included so it seemed only fair that I gave Multifuels a proper test. After all, they’re the only stove of choice for the hardier types who stray casually into subzero temperatures or sky high altitudes. So I gratefully accepted an Optimus Nova Plus as a Christmas gift, took a deep breath, donned a welding mask and a match on a stick and retired to the garage to see if I couldn’t burn the house down. 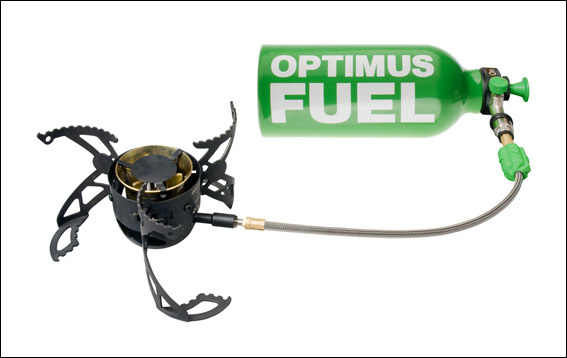 The Optimus Nova Plus connected to a fuel bottle. So how did my nervous garage session turn out? Not bad for a first go. I don’t like carrying a kettle or separate pot for hot water and one of my top requirements for any stove is that I can boil water in a cup so that was my chosen first test. The stove fits together easily and although I did (for once) read the manual it would have been fairly obvious what went where. The stove folds in a reasonably compact fashion closing the curved legs around the burner and tucking in the fuel hose. Optimus Nova Plus Folded for transport. How the stove is switched on and off. In the off position fuel is drained to the stove and pressure is released. Because I don’t do long trips I had wanted the smallest bottle I could get for weight purposes which is 0.4L. According to the specs fuel should be calculated at 0.1L per day per person in normal conditions meaning that at 3/4 full I should get 3 days of use, time will tell! With the bottle filled (and weighed of course!) I “primed” the stove by pumping the handle around 30 times until there was a bit of resistance to pushing. Then I opened the fuel feed valve and tentatively opened the control valve to allow some fuel into the burner. In order for the stove to vaporise the fuel which is most efficient and produces the hottest flame it needs to be warmed. To do this you allow some fuel into the stove cup then close the valve and light the fuel which should burn smoky and yellow. Once the fuel is burnt you open the valve again and relight. This time it should burn with a blue flame and hissing sound. I probably allowed too much fuel in at first so when I applied the lighter I got a 2 foot flame. Luckily I had the foresight (as per the manual) to not be standing directly over it so there was no problem. It was fairly scary though! Once the flame had died down and I opened the valve again and re lit the stove which did indeed burn with a nice blue flame like you would see on a gas stove. The water in the cup (326g) boiled in roughly 3 minutes but I wasn’t totally sure if I had the stove at full power. The valve can be opened far enough to allow more fuel than the stove is capable of burning so for efficiency opening the valve “just enough” is what you want. Unfortunately I didn’t know what “just enough” was so I had to guess. I’m assuming that experience will ultimately answer the question. Once the water was boiled I removed the cup and turned the fuel bottle over so I could see “off” engraved on the pump mechanism and after around 30 seconds the stove continued to burn, then there was another 30 seconds of hissing as the pressured air escaped, then I close both valves. At this point I removed the pump mechanism out of curiosity and there was still some pressure and some fuel did spit out but very little. Leaving the bottle alone for a few minutes is probably necessary. This was a surprisingly good experience. The stove works well, it’s very hot and seems like it will cook and boil in a fast time. I’m used to small gas stoves and Trangia meths burners so this increase in speed is mighty. Hopefully no more eating 30 minutes after everyone else! Turning the green valve turns the whole hose. As can be see, the hose has a bend and as the valve turns it pressures the stove to lift. One big issue, perhaps the only major one, is that the control valve is frankly, a pain in the bum. Fuel is allowed into the stove and heat is varied by turning the Control Valve on the fuel hose. However, turning the valve actually rotates the whole hose which is made of metal and after being folded around the stove for transport has a decided bend. That means that as the valve is turned and the hose rotated, the bend in the hose tends to slightly lift the stove. With a cup with a small amount of water in this is very unsteady, maybe with a heavier pot, fuller pot this might not be a problem but with just the cup it’s worrying. Other than the valve issue the stove does indeed seem excellent. The added weight is always a concern – more weight is fine but only if there’s a benefit and time will tell if the Optimus Nova Plus is worth the extra weight. I still have reservations about working with fuel under pressure both from the potential for a seal to give up at an inconvenient time but also from the aspect of pure combustibility. However Multifuel stoves have been around for a long time and I’m assuming they are safe enough if used carefully. I’m aiming for a night in the hills this weekend, I’ll report back after a proper test! As promised, I took the stove plus Trangia Mini pot and pan on a recent bivvy in the Mournes and I must say, it performed well. I didn’t cook anything too exciting, just heating microwave rice with a sauce and boiling water for coffee but in both tests the stove was excellent. Fast to use, easy to adjust flame and minimum bother all round. It’s still much heavier than meths or ultralight gas alternatives but for speed and ease of use I’d highly recommend it. I didn’t get a chance to weigh it on my return but an estimate of 800g for stove + 300ml fuel using 100ml per person per day does seem accurate, if anything the 100ml could be lower depending on complexity of food. Obviously I’m using a 400ml fuel bottle, if you wanted a bigger vessel then the weight would increase. This entry was posted in Gear Reviews. Bought this beautifully designed stove (Nova Plus) in august 2012 and took it on several long and short backpacking trips. 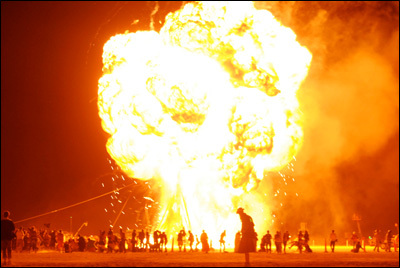 It never burned steady, but pulsating. Simmering wasn’t as easy as claimed, stove went out or didn’t simmer. Tried everything from cleaning, pumping, replacing parts, white gas (I usually burn unleaded) nothing helps. As a proud owner of the optimus 8R Hunter and 111 Hiker I am seriously disappointed with this crappy piece of hardware. On my last trip in the north of Sweden it completely failed to function after 7 days. Despite of replacing nearly every part before I left and during the trip, I had to eat cold muesly, nuts, chocolate and tasteless emergency keks for three days. I returned the stove to my retailer, he has trouble to get thes optimus people to respond. Waiting for two weeks now. I have been using this stove model for approximately four years and not have had any problems with it. Yes, operation of the regulator takes a bit of getting used to but after a few runs everything operates smoothly and the stove is highly efficient and superbly effective. I use the stove in its original compact and lightweight format and with a Trangia adaptor when I have the luxury of being able to carry extra kit e.g. On canoe trips. The stove can be adjusted to give a roaring high heat flame for rapid boiling to a fairly gentle simmer. I use unleaded petrol and regularly use the built-in jet cleaning ‘shuttle’ to maintain top performance. This is without doubt the best compact, powerful stove I have used and indeed seen. 10/10 for performance, portability and reliability.